What is RRI? Responsible Research and Innovation (RRI) is a process that, with the involvement of society, openly and explicitly focuses on the societal, ethical, equity, environmental and other implications and benefits of research and innovation. RRI is both a new and an old concept. Discussions on the issue of responsibility in the development of science, technology and innovation have been around for over half a century. However, debate has evolved from one focused on the application of research ethics frameworks to science, to branching out into broader topics including scientific practice and technology development and the societal implications of emerging technologies. This has meant greater attention to the fact that scientific practices should not be regarded as value-free and that potential positive and negative impacts of emerging technologies’ on the economy, environment and society should be taken into account. These ideas not only motivated further academic work on the conceptualisation of responsibility, they also influenced the emergency of technology assessment organisations and practices, which were dedicated to deal with the inherent uncertainty associated with these potential impacts. In academic and policy circles, ‘pre-RRI’ agendas or programmes, have been known as ELSA or ELSI; acronyms which stand for ethical, legal and social aspects / implications of emerging technologies. 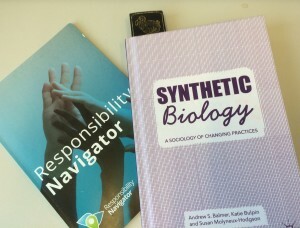 These agendas were largely based on interdisciplinary collaborations between scientists and social scientists, but have however been criticised for failing to produce a change in practices and to deliver integrative and productive relations between these two groups. Public and stakeholder engagement with research and innovation. The emergence of RRI in the UK and Europe. RRI started to gain prominence around a decade ago in the UK and elsewhere in Europe, following earlier initiatives (including in the US) for the responsible development of emerging technologies such as nanotechnology. In its initial articulation, the European Commission (EC) recognised six ‘key areas’ of application of RRI. These were public engagement; gender equality; science education; open access; ethics; and governance. More recently, another two areas of relevance have been included, namely sustainability and social justice. A vision of RRI for Europe was put forward by Rene von Schomberg who conceptualised RRI as a process that aims at ensuring “a transparent, interactive process by which societal actors and innovators become mutually responsive to each other with a view to the (ethical) acceptability, sustainability and societal desirability of the innovation process and its marketable products (in order to allow a proper embedding of scientific and technological advances in our society)”. As a cross-cutting theme in the Horizon 2020 programme, RRI has been conceived as a framework to align the outcomes of research and innovation with the values, needs and expectations of the European society, while delivering solutions to a range of societal challenges, including climate change, ageing etc. RRI thus emerged as an umbrella concept in the EC programme known as “Science with and for Society”, which required all stakeholders, including civil society, to work together in: “science education; the definition of research agendas; the conduct of research; the access to research results; and the application of new knowledge in society – in full respect of gender equality, the gender dimension in research and ethics considerations”. Since its first call for RRI-focused projects in 2014, the EC has funded dozens of projects aimed at further developing, operationalising and even assessing RRI. Building on and expanding these ideas, UK scholars pioneered a framework for operationalising RRI concepts. For them, the governance of science and innovation should be more anticipatory, reflective, participatory and responsive. This framework also encapsulated ideas for RRI developed outside Europe and the UK, particularly ones around anticipatory governance and midstream modulation put forward by colleagues based in the US. Whereas the EC’s ‘thematic elements’ of RRI, i.e. public engagement, open access, gender etc. 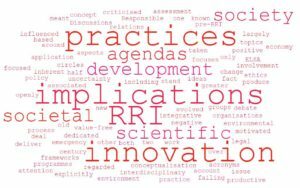 work as substantive issues related to RRI under H2020 as a research programme, this framework focused on process-related dimensions of the concept of RRI, namely anticipation, reflection, engagement and responsiveness. Anticipate: describing and analysing the impacts, intended or otherwise, (for example economic, social, environmental) that might arise. This does not seek to predict but rather to support an exploration of possible impacts and implications that may otherwise remain uncovered and little discussed. Reflect: reflecting on the purposes of, motivations for and potential implications of the research, and the associated uncertainties, areas of ignorance, assumptions, framings, questions, dilemmas and social transformations these may bring. Engage: opening up such visions, impacts and questioning to broader deliberation, dialogue, engagement and debate in an inclusive way. Act: using these processes to influence the direction and trajectory of the research and innovation process itself. RRI in Manchester. 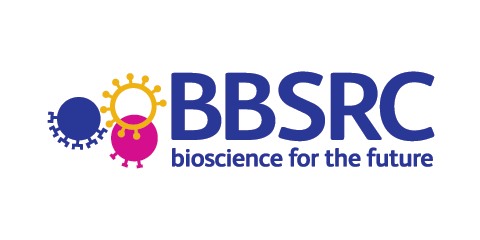 In 2013, as a co-funded initiative with the BBRSC, the EPRSC has promoted the operationalisation of RRI in practice by including RRI-dedicated activities in six multidisciplinary Synthetic Biology Research Centres (SBRCs) across the UK. 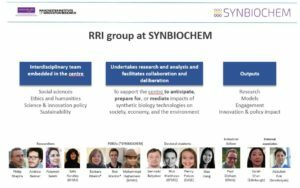 One of the SBRCs pioneering RRI in practice is the Manchester Synthetic Biology Research Centre for Fine and Speciality Chemicals (SYNBIOCHEM) based at the Manchester Institute of Biotechnology at the University of Manchester. The Manchester RRI Group in volves researchers from the Manchester Institute of Innovation Research, at the Alliance Manchester Business School in collaboration with the Faculty of Sociology at the University of Manchester and colleagues at Manchester Metropolitan University. 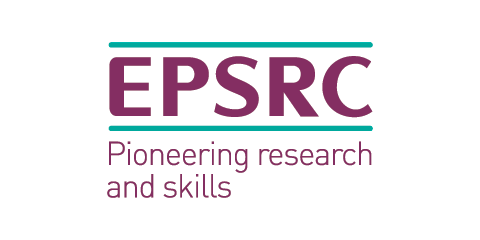 The RRI group has deployed a range of research and engagement activities in academic, industrial, public and governance settings in the context of an “end-to-end assessment” framework consistent with the principles of the ESRC AREA approach. Activities have explored scientists’ practices and motivations behind lab-based production of commercial targets; workshops for the development of tools for improving reflexivity in project decision-making; documentary and patent analysis to explore changing configurations of value chains and anticipate the potential impacts of emerging applications; creative and sensory methods to engage with civil society through focus groups, ‘pop up stalls’ in public spaces and people’s homes and explore public perception on emerging technologies; and presentations at key policy and industry events to discuss the implications of the findings from RRI research. Barbara Ribeiro is Research Associate at the Manchester Institute of Innovation Research, Alliance Manchester Business School, University of Manchester, UK. Her current research explores the social and ethical aspects of emerging technologies, with a focus on synthetic biology. She is currently part of the Responsible Research and Innovation group with the Manchester Synthetic Biology Research Centre for Fine and Speciality Chemicals. innovation, and policy evaluation. He is a Co-Investigator and Lead for Responsible Research and Innovation with the Manchester Synthetic Biology Research Centre for Fine and Speciality Chemicals. 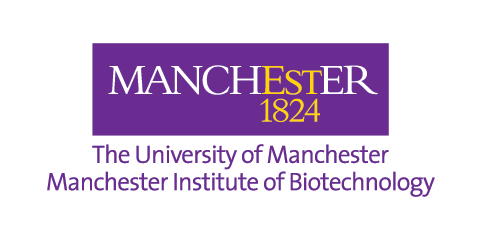 The Manchester Responsible Research and Innovation Group’s work with SYNBIOCHEM is supported by award BB/M017702/1. Resnik DB. (1998). The ethics of science: An introduction. London: Routledge. Winner L. (1986). The whale and the reactor: A search for limits in an age of high technology. Chicago: University of Chicago Press. European Commission (2012). Responsible research and innovation. Europe’s ability to respond to societal challenges. Retrieved from: https://ec.europa.eu/research/swafs/pdf/pub_public_ engagement/responsible-research-and-innovation-leaflet_en.pdf. European Commission (2015). Indicators for promoting and monitoring responsible research and innovation. Luxembourg: Publications Office of the European Union. http://ec.europa.eu/research/swafs/pdf/pub_rri/rri_indicators_final_version.pdf. European Commission (2014). Rome Declaration on Responsible Research and Innovation in Europe (https://ec.europa.eu/research/swafs/pdf/rome_declaration_RRI_final_21_November.pdf). Examples include the RRI-Tools project (https://cordis.europa.eu/project/rcn/110969_en.html), NewHoRRIzon (https://cordis.europa.eu/project/rcn/210048_en.html) and MoRRI (http://www.technopolis-group.com/morri/).